Chinese language is tonal, since meaning of a word changes according to its tone. 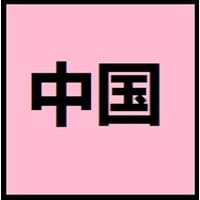 In Chinese language, there is no grammatical distinction between singular or plural, no declination of verbs according to tense, mood and aspect. In Sinhalese language, there are many loanwords from Dravidian languages mainly Tamil, Portuguese, Dutch and English. 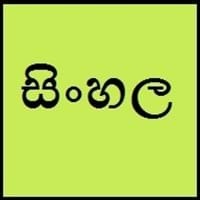 Sinhalese language has it own script/ writing system. There are plenty of languages spoken around the world. Every country has its own official language. Compare Chinese vs Sinhalese speaking countries, so that you will have total count of countries that speak Chinese or Sinhalese language. Chinese is spoken as a national language in: China, Taiwan. Sinhalese is spoken as a national language in: Sri Lanka. You will also get to know the continents where Chinese and Sinhalese speaking countries lie. Based on the number of people that speak these languages, the position of Chinese language is 1 and position of Sinhalese language is 70. Find all the information about these languages on Chinese and Sinhalese. Comparison of Chinese vs Sinhalese language history gives us differences between origin of Chinese and Sinhalese language. History of Chinese language states that this language originated in 1250 BC whereas history of Sinhalese language states that this language originated in 3. Family of the language also forms a part of history of that language. More on language families of these languages can be found out on Chinese and Sinhalese Language History. People around the world use different languages to interact with each other. Even if we cannot communicate fluently in any language, it will always be beneficial to know about some of the common greetings or phrases from that language. This is where Chinese and Sinhalese greetings helps you to understand basic phrases in Chinese and Sinhalese language. Chinese word for "Hello" is 您好 (Nín hǎo) or Sinhalese word for "Thank You" is ඔබට ස්තුතියි (obaṭa stutiyi). Find more of such common Chinese Greetings and Sinhalese Greetings. These greetings will help you to be more confident when conversing with natives that speak these languages. The Chinese vs Sinhalese difficulty level basically depends on the number of Chinese Alphabets and Sinhalese Alphabets. Also the number of vowels and consonants in the language plays an important role in deciding the difficulty level of that language. The important points to be considered when we compare Chinese and Sinhalese are the origin, speaking countries, language family, different greetings, speaking population of these languages. Want to know in Chinese and Sinhalese, which language is harder to learn? Time required to learn Chinese is 88 weeks while to learn Sinhalese time required is 44 weeks.